Biography | David M. Peterson, P.C. 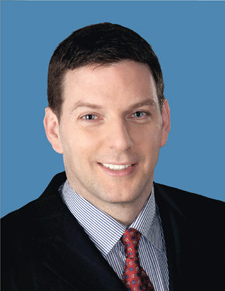 David M. Peterson, P.C. is ready to fight for your personal injury case. Providing legal services for personal injury cases since 1994, David M. Peterson, P.C. has attacked every sort of intricate and complicated case with great passion and determination for over 20 years. We have resolved thousands of cases for those suffering from accidents caused by the negligence of others. We understand and empathize with both the mental and emotional anguish clients endure after their accidents, and strive to deliver the best results for those whose lives have been affected by the negligence of others. Such devotion underscores our firm’s successful track record of over 20 years, not just in the legal field, but also in client relations—clients recognize our commitment and diligence, and continue to refer their friends and family to our services even long after they cease to require our assistance. The combination of our extensive knowledge in negligence law and litigation expertise are valuable assets to those we represent. Upon receiving a J.D. (Juris Doctor) degree from Rutgers University, David M. Peterson, Esq. honed his skills as a litigator at two nationally recognized firms renowned for their work on negligence lawsuits. Since its establishment in the Woolworth Building in 1994, David M. Peterson, P.C. has worked to protect clients’ rights and recovery in various personal injury cases. As the practice expanded, the firm relocated to the 84th Floor of the former World Trade Center. Even with the tragic aftermath of September 11, 2001, our firm maintained the same level of dedicated professional services for our clients despite the significant property damage; through collective effort and devotion, David M. Peterson, P.C. was able to resume operations out of a temporary office the very same week of the event. As a result, not one of our clients suffered any delays in their proceedings. This exemplary display of teamwork and dedication continues to serve as our daily standard to managing clients’ cases. Currently located in the Financial District of lower Manhattan, David M. Peterson, P.C. believes that every single one of our clients deserves complete and thorough attention in every step of the litigation process. In addition to being highly experienced and well-qualified in negligence law, we are also known for our personalized consideration for our clients. All relevant news, including court events and settlement options are relayed to our clients promptly and efficiently; our communication efforts reflect our genuine concern for clients’ pain and suffering resulting from their accidents. We hope to be of service to you at your time in need—your calls are always answered, 24 hours a day, 7 days a week.